Last week, you had me listen to some goofy, epic, over-the-top prog rock. In that spirit, your first assignment is probably the closest thing the hip hop canon has to prog: Deltron 3030. The result is utterly captivating. There is no other rapper in the world who sounds like Del. And more than anything, this record really seems to capture this feeling of the ‘used future’ of something like Star Wars or Alien — a future that feels dirty and diseased, run-down and as far from the shiny idealism of Star Trek as it’s possible to get. 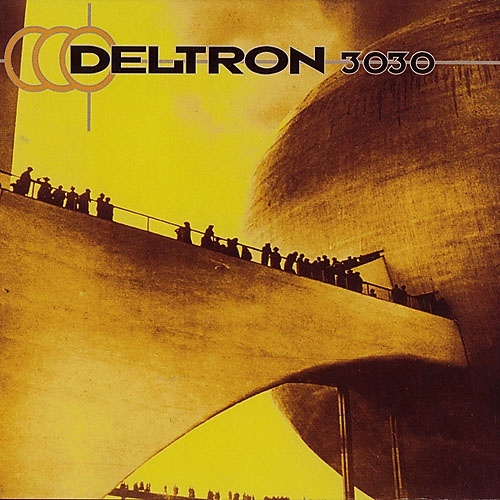 The universe of Deltron 3030 is in rough shape. Obviously, I love Deltron 3030. And I know you have a taste for MF DOOM and Madlib’s Madvillainy, so I think you might too. I am very much looking forward to your thoughts on this album. This entry was posted in Assignments and tagged 00s, hip hop by Matt. Bookmark the permalink.